We’d love your help. 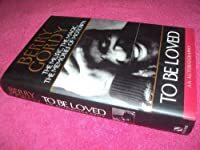 Let us know what’s wrong with this preview of To Be Loved by Berry Gordy. To ask other readers questions about To Be Loved, please sign up. Truly magical and a story of life and events that will forever stay with me. I picked this up after watching the fantastic Motown musical in London wanting to know more. I grew up listening and loving everything that came out of Motown and I still do. Decades of music that are and will remain on another level of quality and creativity. Pure gold. Wow what a life this man created for himself and countless others. One of the most influential men of all time for black music and film. So sad that it Truly magical and a story of life and events that will forever stay with me. "Your lovin' gives me a thrill. But your lovin' don't pay my bills. I need MONEY -- that's what I want." I picked up To Be Loved when I visited Detroit recently on a business trip. I didn't expect too much from the book, as autobiographies are notoriously boring and self-aggrandizing. I was pleasantly surprised by the book. The author (Berry) was so very candid and even self-effacing, spending as much time describing his mistakes as his successes. And let's face it, the man has SO much to be pr "Your lovin' gives me a thrill. But your lovin' don't pay my bills. I need MONEY -- that's what I want." I picked up To Be Loved when I visited Detroit recently on a business trip. I didn't expect too much from the book, as autobiographies are notoriously boring and self-aggrandizing. I was pleasantly surprised by the book. The author (Berry) was so very candid and even self-effacing, spending as much time describing his mistakes as his successes. And let's face it, the man has SO much to be proud of - he accomplished a feat few could dream of, at a time when being a man of color meant having almost no chance of owning and growing a successful business. 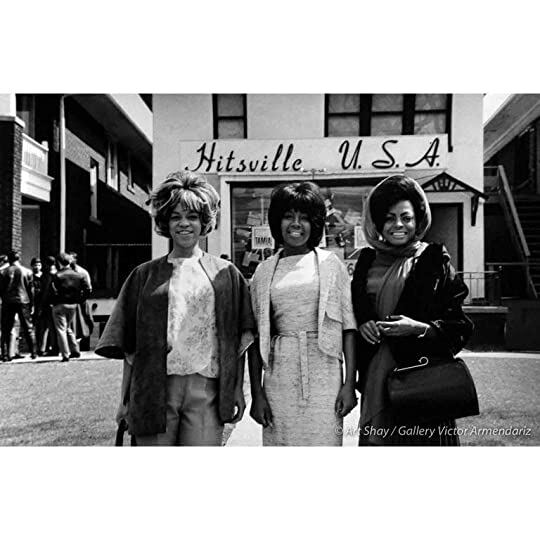 The list of artists who came through Hitsville USA is just staggering (Jackie Wilson, Smokey Robinson, The Temptations, Michael Jackson, Stevie Wonder, Marvin Gaye, The Supremes, Four Tops, Commodores, Martha & The Vandellas, Gladys Knight, Mary Wells, Frankie Valli, and The Pointer Sisters, to name just a few) . I must admit that at a time not long ago I thought "Motown" referred simply to hits produced in Detroit during the 60s-70s. I had no idea the Motown brand referred to songs produced by one company, one man really, who was incredibly talented in spotting and nurturing artists. And of course, the city was LOADED with amazing artists. As an aside, the book caused me to start watching YouTube video and reading about Jackie Wilson, Berry's first real artist (even before Smokey). OMG, Jackie was incredible, amazing, such raw energy. They called him Mr. Excitement and I understand why. He had a 4-octive (that's right) singing range and could make some amazing dance moves. Many artists would later incorporate Wilson's singing style (Elvis) and footwork (James Brown, Michael Jackson). 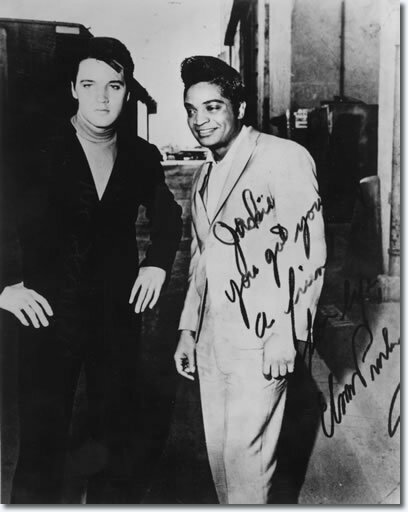 Reportedly, when Presley was asked if Jackie was the black man's Elvis, he responded "No. If anything, I'm the white version of Jackie Wilson." Back to Berry. Of course, To Be Loved reads like a Who's Who of folks he knew and associated with. But it's not presented in a way that says "I'm important because I knew important people". Rather, I can't see how you'd talk about Berry's life without naming a pretty impressive list of friends and artists. He spends a lot of time talking about Diana Ross (who I wore out record grooves listening to as a teenager) and it's clear Diana broke Berry's heart. I just have to say after reading this book that I'm in awe of what Berry Gordy accomplished. The book should be stocked in the "business" section of the book store, as it describes the sacrifices it takes to build a special business. I highly recommend this book, even if it's not a genre you'd normally tune in for. This is the first review I've written on Goodreads and let me preface it by saying Berry Gordy is my biggest hero of all-times, so it will be extremely biased. I know, I know. He was a crook and stole from every one of his artists...at least that's the prevailing consensus. That being said, I am in awe of what he accomplished at the time he accomplished it; when black music was relegated to being just that...black music. His machine created phenomenal music and his genius found a way to play and This is the first review I've written on Goodreads and let me preface it by saying Berry Gordy is my biggest hero of all-times, so it will be extremely biased. I know, I know. He was a crook and stole from every one of his artists...at least that's the prevailing consensus. That being said, I am in awe of what he accomplished at the time he accomplished it; when black music was relegated to being just that...black music. His machine created phenomenal music and his genius found a way to play and sell that music to the whole world. I can see why this book would be the inspiration for the hit Broadway show, Motown. It’s a positive musical romp through one of the most important eras of popular music with some of the biggest names in the industry. Of course a major part of this story is the mega-success of a black-owned business in America during the early to mid 1960’s. Detroit was already known as Motor City before Barry Gordy ever worked in a car plant and learned the factory system. After adapting this process to his reco I can see why this book would be the inspiration for the hit Broadway show, Motown. It’s a positive musical romp through one of the most important eras of popular music with some of the biggest names in the industry. Of course a major part of this story is the mega-success of a black-owned business in America during the early to mid 1960’s. Detroit was already known as Motor City before Barry Gordy ever worked in a car plant and learned the factory system. After adapting this process to his record company, Detroit was known for being Motown. This is Gordy’s side of this story and as the founding father of Motown he had the best seat in the house from which to tell it. Readers need to assume he’s giving us the inside scoop, but I couldn’t help thinking we weren’t getting all the details. As a former boxer from the rough streets of Detroit, it’s doubtful all business dealings were handled with kid gloves. And even thought that opinion is only based on reports from past articles and other books, they are not at all addressed, confirmed or denied, in this book. The historical aspects of Gordy’s success are monumental. Motown broke through the color barrier and the restrictions “race music” had to fight to be heard on the most powerful and popular radio and television broadcasts (in other words; white-owned stations). It is a story worth telling and knowing about. The supporting cast includes some of the most dynamic and talented performers of the 1960s, ‘70s and ‘80s. It’s easy to visualize Smokey Robinson, Marvin Gaye, The Supremes, The Temptations, Stevie Wonder and The Jackson Five entering and exiting during different segments of the book with their classic songs providing the soundtrack. Gordy’s memories are sandwiched between agonizing decisions to sell his company and are the perfect bookends for this story. Some of the less famous characters, including the various mothers of his numerous children, become confusing as the story continues, but I enjoyed the book and again, consider it an important story. The only reason not to go five stars was that it didn’t hook me as a page-turner. I had no problem putting it on the shelf and reading two other books before coming back to finish. Fortunately, the legendary Motown stars, known to all music fans, always made it easy to pick up the story from where I had left off and follow through to the end. Although Berry is continually trying to correct the impression that he was a dictator of Motown Records, he probably was, and this is still a fun book to read, if you like that music, and want to hear about how it came to be. I've been to Hitsville, and this should make you want to see that little bungalow that changed the world of music. What is most interesting is how he combined creativity and manufacturing, two ways of doing things that, like oil and water, supposedly are at odds with one ano Although Berry is continually trying to correct the impression that he was a dictator of Motown Records, he probably was, and this is still a fun book to read, if you like that music, and want to hear about how it came to be. I've been to Hitsville, and this should make you want to see that little bungalow that changed the world of music. What is most interesting is how he combined creativity and manufacturing, two ways of doing things that, like oil and water, supposedly are at odds with one another and cannot be combined. He did it. And while he was a dictator, and his word was final, the other creative voices had their say, and creative talents were both in competition with one another and in collaboration towards excellence. Touching, Inspiring, Informative, Heartfelt & Beautiful! A Awesomely Beautiful Read! I Loved It! 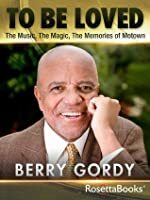 Here's how much I love autobiographies and memoirs (or maybe I should say, "here's how much of a book geek I am"): I went to see Motown: The Musical, loved it, found out it was based on Berry Gordy's autobiography, and immediately had to read it. I'm glad I did, because I really enjoyed it. Besides being a trip through the history of much of the best pop music ever, it was also a story of an interesting and I think somewhat admirable man. I know that people make themselves look good when they wri Here's how much I love autobiographies and memoirs (or maybe I should say, "here's how much of a book geek I am"): I went to see Motown: The Musical, loved it, found out it was based on Berry Gordy's autobiography, and immediately had to read it. I'm glad I did, because I really enjoyed it. Besides being a trip through the history of much of the best pop music ever, it was also a story of an interesting and I think somewhat admirable man. I know that people make themselves look good when they write an autobiography, but I think that it is telling that a man like Gordy (a workaholic, womanizing, professional perfectionist) seems to have ended up with good relationships with all of his exes, his 8 children by several different mothers, his extended family and even with most of the people he has worked with. Just finished. Amazing. Even for an R&B history lover like myself, I learned tons of stuff. A lot of these stories I'd heard, but not from Berry Gordy himself. I teared up a couple of times. Good stuff. love this time in history and this book is such a good source of American history. loved hearing the stories of where some favorite songs were created. Excellent autobiography...he was more honest and open than I thought he would be. I enjoyed it very much, so interesting and we'll written. This man needs no introduction. His label Motown is more than just a company that made records, but it was a cultural and social revolution, and who better to tell the story than the man who built it, Berry Gordy Jr. He's a great storyteller as he leads you from his upbringing in Detroit, to following his dreams first as a songwriter, and as a record label owner, and through the highs and lows of success. Anybody who is into music, or social and cultural studies show read this. I requested this book after seeing the Broadway play that was based on this book. The musical had some inaccuracies from the book, but the book was a very interesting read. As far as require reading goes, this book isn't that bad. It gives great detail into the blood, sweat and years that went into the creation of Motown. Berry Gordy is very honest in his writing which makes it enjoyable to read. Some parts were laborious to read, but overall it was a good read! If you are looking for the inside scoop on Motown, this will give you something! Who knows what's true. Poorly written yet a page turner. What's Berry Gordy going to do next? There are some really great lines such as, "Out of that short love affair came my son, Terry." and "From her I learned there were many levels to a relationship, not just physical." If you are in to motown or celeb gossip its a must read. Pretty good. I was personally put off by the unnecessary profanity. There were so many famous people to include and talk about the pace was always up. I learned quite a bit about Motown and Barry Gordy in particular. I love this book. 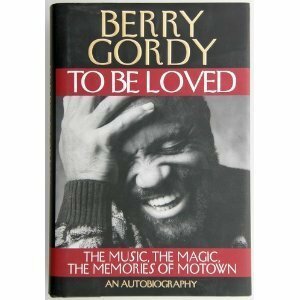 I love motown and loved reading about Berry Gordy , one of the greatest moguls ! First time a musical was better than the book. Too many names to keep up with during the reading made it very difficult to follow along. read,because it tells how some one from humble beginnings made history and started his own empire.